Weighing just 128 grams, it’s super sleek and combines a high-end uni-body design with our biggest 2000mAh battery and curved 4.3” super sensitive Clear Black Display. It has an innovative HD 1.3MP wide angle front facing camera, 6.7 MP rear camera with high end f/1.9 aperture and Carl Zeiss optics, giving it the best camera experience of any mid range smartphone. It can capture stunning images both day and night with a wide variety of unique Lumia apps. You can get the perfect profile picture with Glam Me, make your snaps stand out on Facebook with Smartshoot and Creative Studio, plus animate your memories with Cinemagraph. It includes Nokia Music, a free and unlimited music streaming service, which allows you to enjoy the latest tracks or create your own channels based on the artists you love. All this without the hassles of sign ups, sign ins or adverts. It also features Nokia Live Sight. This unique app instantly transforms the Nokia Lumia 720 into an augmented-reality viewport, displaying nearby points of interest as floating icons with distances on the camera’s display. 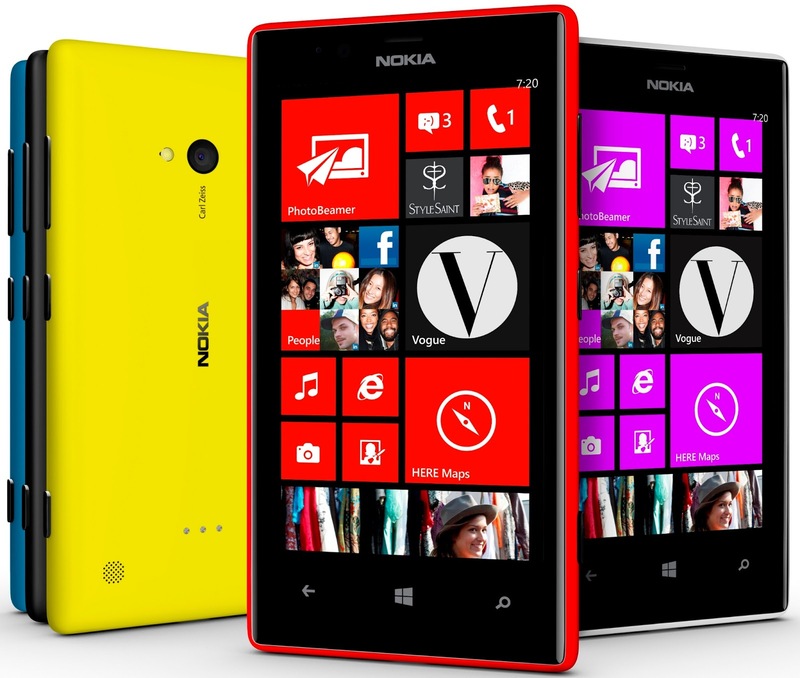 With the Nokia Lumia 720, you also get free Maps at home and abroad, plus free turn-by-turn voice-guided navigation with Nokia Drive at home. Also available offline. 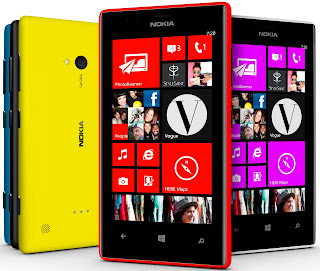 The Nokia Lumia 720 also carries on the Lumia tradition of using NFC. All it takes is one tap to connect and listen to your favourite tunes using Nokia wireless accessories, such as the JBL PlayUp Speaker and Purity by Monster Headphones. With Windows Phone 8’s People Hub, you can pull together contact information from multiple address books and social networks into a single contact database, making it easy to start conversations, see posts, tweets and photos from friends, and even set up groups and private rooms for sharing. The Nokia Lumia 720’s Live Tiles constantly update in real time on your Start screen, to show you what’s new and what’s now. Microsoft software like Microsoft Office, Xbox Live, SkyDrive cloud storage and Internet Explorer 10 means the Nokia Lumia 720 is ideal for work, play, sharing and surfing.